In less than 6 weeks, Great Britain will celebrate the Diamond Jubilee of Queen Elizabeth II during the long holiday weekend of 2-5th June. Throughout the sixty years of her reign, the second longest by a British monarch in the last thousand years, Her Majesty the Queen has become one of the most photographed women of modern times. 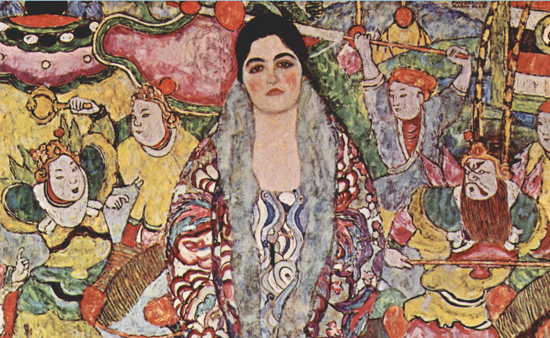 With an extensive archive of images available, it is a unique opportunity to retrace some of her signature styles and jewellery. A beautiful retrospective of images by royal photographer Sir Cecil Beaton recently took place at the Victoria & Albert Museum celebrating the Queen’s family life and formal state role as monarch. If you were unlucky to miss this, another highly anticipated exhibition starts May 17th at the National Portrait Gallery in London and will bring together a collection of sixty portraits made of the Queen during the last sixty years. The contrast between the portrait of Queen Elizabeth II at her Coronation in 1953 and the equally iconic, everyday image above of the Queen today could not be more striking. 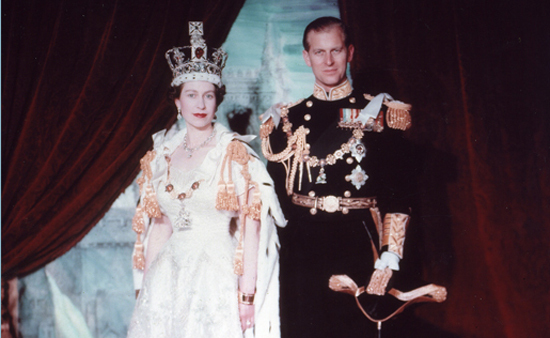 Embroidered with emblems of the British Commonwealth dominions in pale colored silk, with silver and gold threads and pearls, amethyst and opals, the coronation dress was commissioned for the state occasion by designer Norman Hartnell. The Queen is also wearing the Imperial State Crown, with the weight of its precious large stones and perhaps the nation’s legacy and duties. Garrard and Company originally designed the crown for George VI and altered it to fit the new Queen. The Queen wore the coronation necklace and earrings made for Queen Victoria and which was previously worn by four Queens at their own coronations. This necklace is made of 25 graduated cushion-shaped brilliant-cut diamonds with a drop shaped pendant and will be a centrepiece of a dazzling exhibition Diamonds: A Jubilee Celebration this summer at Buckingham Palace. Almost daily images of the Queen during the last sixty years have shown an unceasing dedication to her work and throughout her signature style has been elegant and confident. Bright block colour skirts and dresses in pale yellow or cheerful pink, for example, are often matched with a jacket or coat, closed with a button, and finished with coordinated accessories. A number of fashion designers have designed clothes for the Queen during her reign, including most recently Karl Ludwig Rehse, Stewart Parvin and Angela Kelly but her jewellery has been much more familiar. Signature strands of white pearls and white pearl earrings, which are likely to hold emotional value to her, grace both formal state occasions and royal visits and have been a constant amongst the spectacular royal collection of jewellery. The Queen has several favourite white pearl necklaces. The Queen Anne and Queen Caroline pearl necklaces are two single strand necklaces made with large, graduated natural pearls. These historic necklaces are typically worn together and were given to Princess Elizabeth by her parents for her wedding in 1947. The Queen is also often seen wearing a smaller triple strand pearl necklace, given as a gift in 1935 from King George V, her grandfather, for his Silver Jubilee. With smaller graduated pearls, this necklace is highly versatile and should be very comfortable to wear. 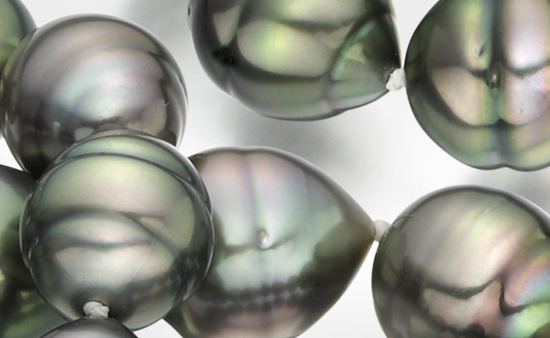 The three strands of lustrous pearls reflect light, creating a flattering glow to the face. To complete the styling, the Queen often can be seen matching this necklace with a pair of diamond and pearl drop earrings. 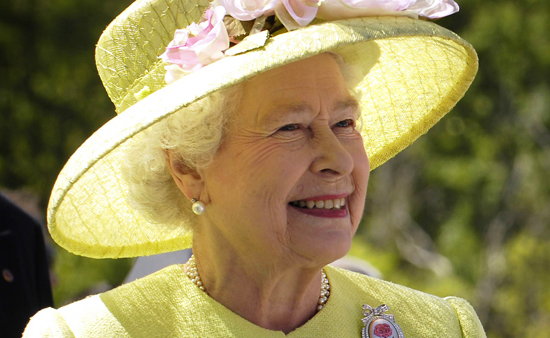 This year's Jubilee is another milestone in the Queen's reign that, despite decades of change in the world, has outlasted many political leaders, trends and celebrities. This June will be an opportunity to celebrate a lifetime's dedication and service. Long live our Queen of Pearls! A Klimt Painting or A Pearl Necklace?